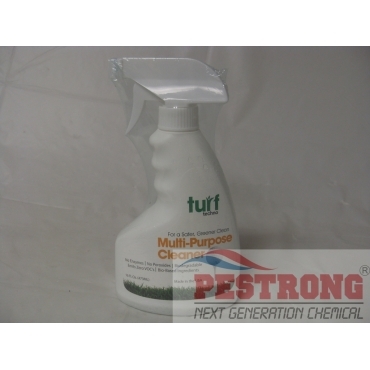 Where to Buy Turf Multi Purpose Cleaner, Turf Multi Purpose Cleaner - 16 Oz - Gallon - $14.95 for Sale with Fast Free Shipping! Turf Multi Purpose Cleaner - 16 Oz - Gallon surpasses the cleaning power of products containing up to 40% petroleum based products. TKO Phosphite 0-29-26 Liquid Fertilizer -..
Stains actually dissolve for easy clean-up and will not smear like traditional solvents. No need for expensive enzymes or corrosive hydrogen peroxide. Cleans entire golf carts: Interior, exterior and windshields. Cleans all vinyl, plastics, wheels, fiberglass, metals, stainless steel, and cart seats. Removes turf pigment residue from hands. Solves all your general purpose cleaning needs. Nice product. It works really well at cleaning off turf colorant. This is a nice cleaner. The price is pretty good as well.